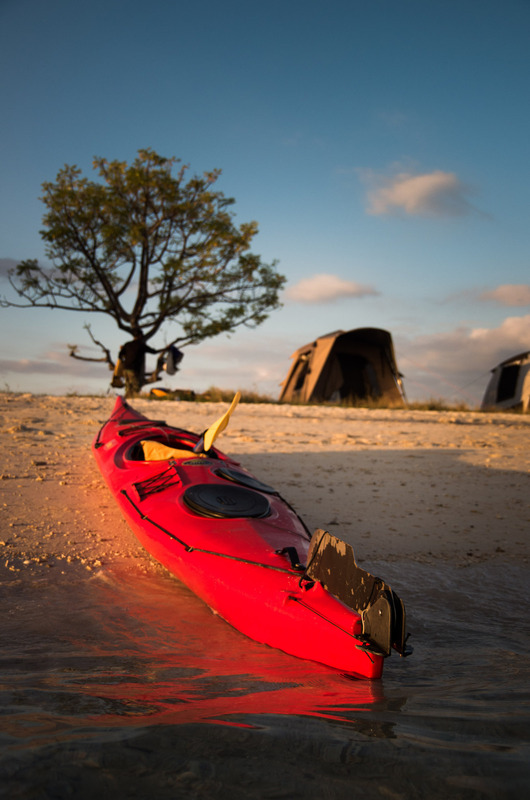 Can you imagine sea kayaking to some of the most remote beaches on earth, accessing areas rarely visited because your sea kayak is the only way in or out. Can you imagine drifting over magnificent coral reefs and dodging small whirlpools that dot the seas in which you are paddling. Can you imagine visiting islands that are uninhabited and ones that are still inhabited by mythical dragons. 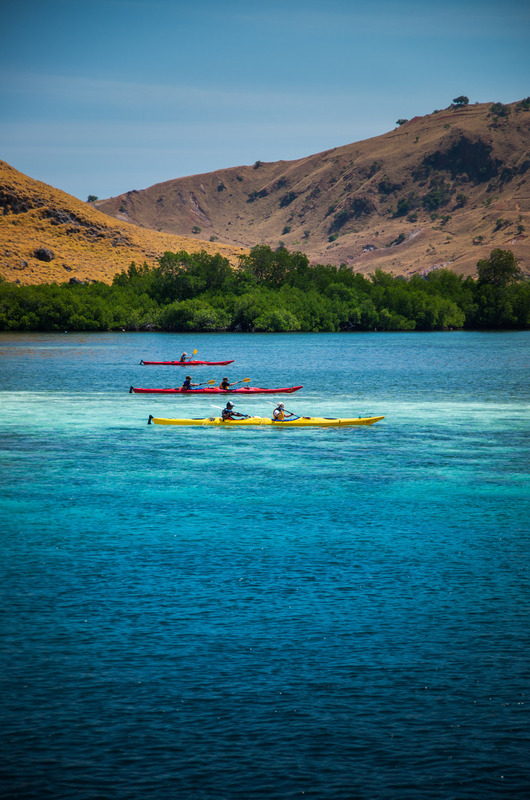 If you can, then our Komodo Kayaker is for you. 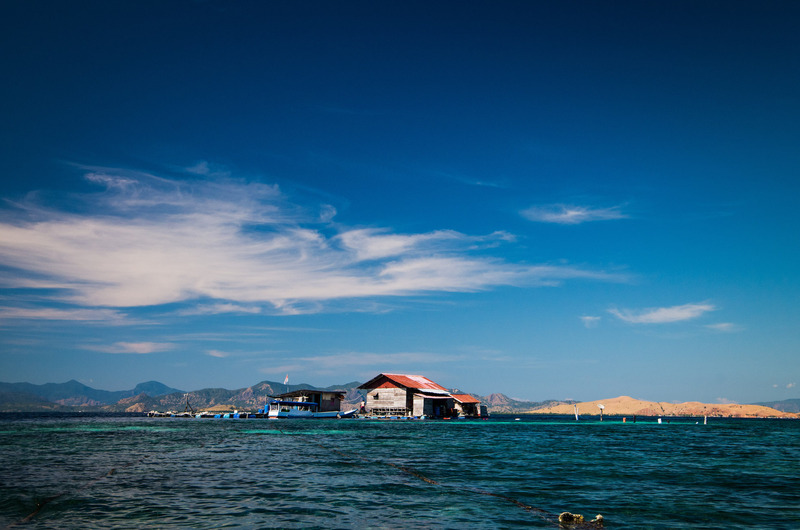 The Komodo National Park is made up of over two dozen islands between Sumbawa and Flores. 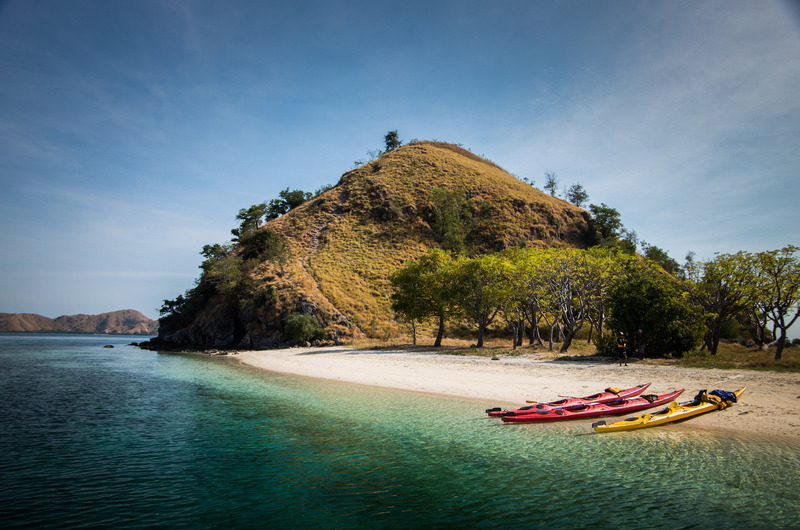 These prehistoric looking islands are home to the Komodo Dragon, a creature that time seemed to forget. These mighty beasts are over 3m long and weigh up to 150kg. But don't let their slow nature fool you, when food or mating are involved, the dragon can run nearly 30km per hour. Fortunately for visitors, due to a series of evolutionaly mishaps, the Komodo Dragon has lost its ability to fly and breath fire, but none the less, they are an impressive beast to walk amungst! The Komodo Dragon however is just one attraction of the park. 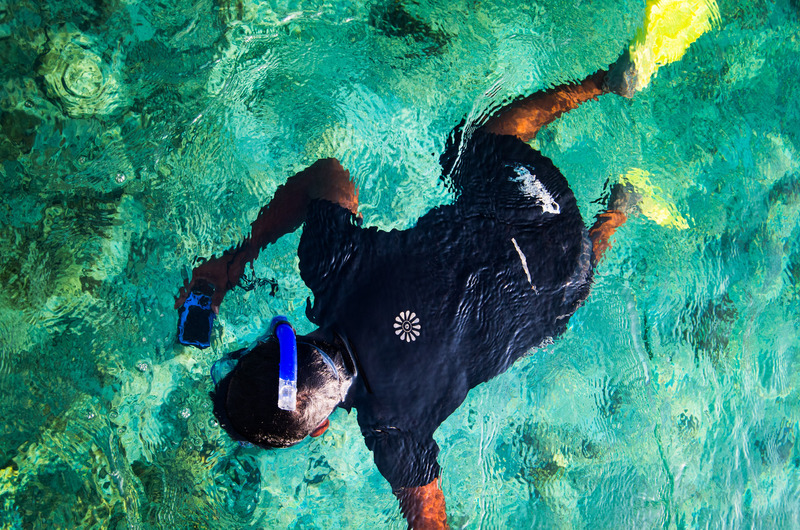 The area boasts some of the best marine life on the planet, with dozens of reefs in which we will snorkel. We will visit sites where manta ray and turtle are common. It is also home to uninhabited islands and glorious beaches. We will visit small stilted villages and experience life on the sea like nowhere else. 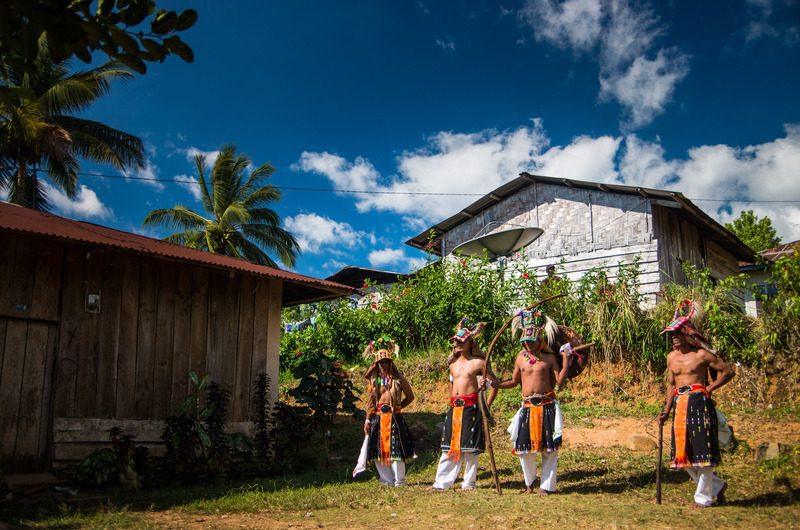 We will also visit remote water falls and small villages on the main island of flores. As part of this expedition, you will be helping to preserve the local eco-system through donations from our tour operator and cleaning the park of all plastics as we go. 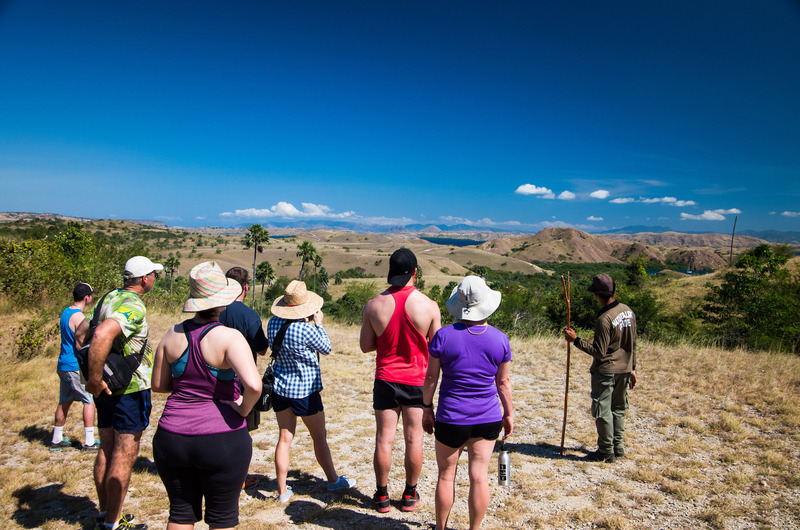 Through the work that we and other like minded organisations do, we hope that the Komodo National Park will remain an attraction for our children's children. Day 1: Arrive in Bali and transfer to hotel. Day 1: Arrive in Bali and transfer to hotel. Free time to relax. Day 2: Fly Bali to Labuan Bajo. Arrive at Komodo Labuan Bajo airport (B). 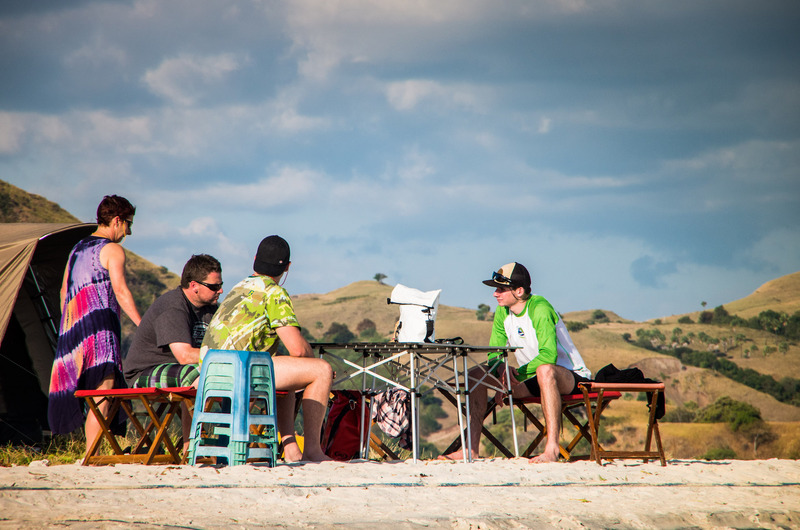 You will be met at the airport by one of our team members and taken to Bajo Komodo Eco Lodge. This afternoon you will meet with your Guide and then head off for an introduction paddle along the river while enjoying the flora and fauna. Overnight in Hotel. Today we start paddling. Before lunch, we set out for our first destination, Kelor. On the way we stop for lunch and snorkeling at Pulau Bajo Pungu and we will reach Kelor approximately after 4.5 hrs after leaving from the Eco-Lodge. Kelor has a beautiful beach surrounded by crystal clear water and is perfect for our first camp. Overnight in Safari Tents. After breakfast we will start paddling to Gado, for snorkeling and lunch before we head to Werloka a laid-back fishing village, which offers both, a light trek on its secluded shoreline as well as a taste of Florinese history with its treasures from the distant past. An ancient former trading port, Werloka is a place where numerous historic artefacts like stone pillars, dolmens, daggers and spearheads, jewellery, and antique ceramics have been found. Some of these items are even estimated to date back to the Chinese Bronze Age, which presumably started around 2000 BC. The trek will be followed by a sunset boat ride to a small mangrove island (Kaaba) inhabited by bats. This is a great sight enjoyed from our top deck with thousands of bats flying into the night sky for their evening meal. Overnight in Safari Tents on the shoreline of Warloka. Early morning we will rise and boat to the Rinca Rangers Office to look for Komodo Dragons. Rinca (pronounced Rin - cha) is the best place in the park to see the Dragons as their numbers and density are larger there. We will be shown around the park by a trained Ranger who will explain the eco-system, the Dragon's habits, the life of other inhabitants on the island such as the Macaque, Buffalo, Deer, Tree snakes etc. After a drink at the Ranger's Cafe' we will start heading north towards Sebayor Kecil. On the way we stop for some snorkeling and lunch at Kambing, a little island just off the coast of Rinca before we start our final paddle to Sebayor Kecil where we will spend the night. Sebayor Kecil has a beautiful beach and some great coral reefs and fish population so a spot of snorkelling the next morning is encouraged. Overnight in Safari Tents. Today we paddle past Kanawa, another great coral reef, and continue onto Seture Island (Bangko), where we will spend the night on its white sandy beach for our last night of camping. Overnight in Safari Tents. This is our last day of paddling but by no means the last day of the adventure. 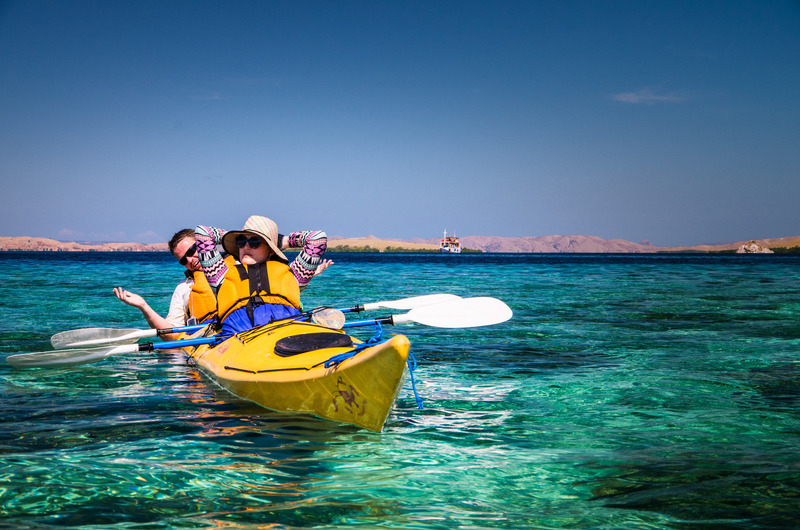 Before we will coast back along the Flores shoreline and in between some islands with great rock formations, we will be stopping over on Bedhadhari island for more snorkeling. We will be back in Labuan Bajo in the afternoon after lunch. There you have the evening free to relax. Overnight at Eco- Lodge. For those taking up the SCUBA Diving option, this is the day that you can SCUBA Dive at some of the best sites in the Komodo National Park. Sites change due to weather and water conditions, as well fish conditions such as Batu Bolong. 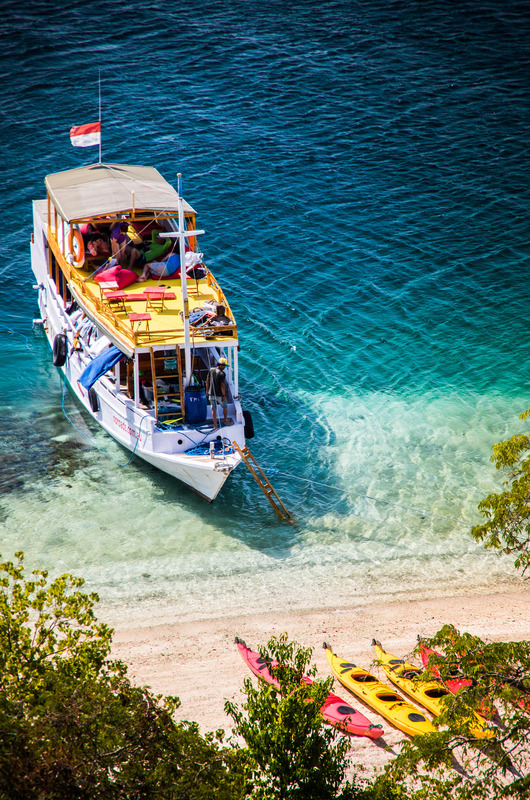 The SCUBA Boat will pick you up for 2 dives and then drop you back to the Eco Lodge in the late afternoon (lunch provided). Today we head out for a day at the Cunca Wulang Waterfalls. The falls are just beyond a beautiful traditional village. The hike there and back is picturesque and we will have a chance to chat to the locals along the way. The falls are spectacular with an enormous fall at one end of a large canyon, which has been carved by the falls themselves. We will be able to swim in the beautifully cool waters all the way to the fall's base. Overnight at hotel. We will have a bit of free time before we fly back to Bali today. We can have a swim at the Eco- Lodge pool, go into town and walk around the harbor, or just relax on the sprawling veranda overlooking the sea. You will be met at Bali airport by the hotel and taken there. You can either stay the night at the hotel or fly out to your next destination later that evening. Either way you will have a room available to yourselves. Day 10: End of your amazing adventure. You can now fly home or extend your stay in Indonesia. Note: This itinerary can vary due to local conditions and strength of kayaking team. Days can be shortened or lengthened depending on many factors. Expedition Cost $2750 ex Bali, twin share. If you are traveling alone and do not want to share accommodation, a single supplement of $350 will apply. Airport transfers to and from accommodation in Bali (Holiday Inn) and Flores (Bajo Komodo Eco Lodge). This expedition operates from March to December, with May to September being the best conditions. Group sizes from 2 to 10 people, if there are 2 or more of you, let us know when you'd like to go!